Popular among professionals, the Norton IM313CIS Tri-Stone System uses a finer Soft Arkansas stone for even finer sharpening. 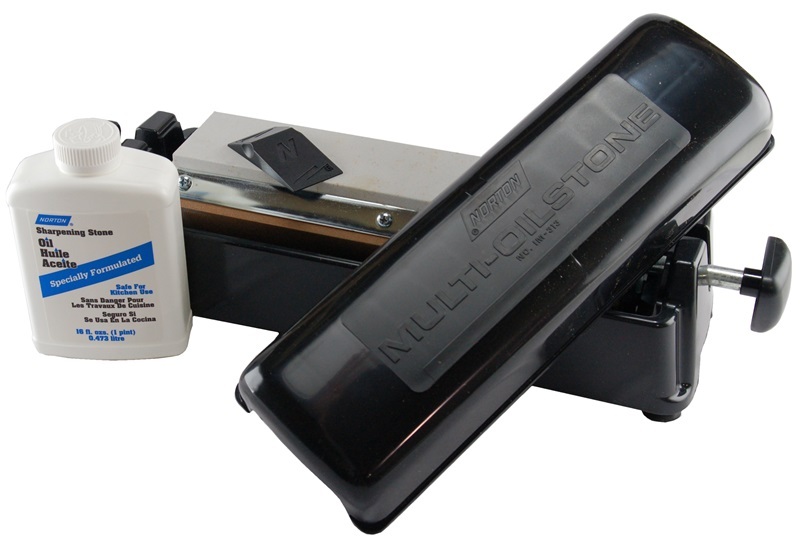 The Norton IM313CIS features three very large 11-1/2" x 2-1/2" oil stones in a convenient, easy-to-use system. These stones are long enough to handle any knife or tool thrown at them. 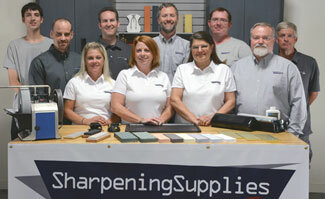 The sharpening system holds the stones in a heavy-duty plastic base unit that mounts into an oil bath. The oil reservoir keeps the stones that are not being used submerged in the oil so they're ready to use.The system comes with everything you need to get sharpening, 16 ounces of quality Norton Honing Oil are included. This package is an upgrade from the Norton IM313 Tri-Stone System. It changes the Medium India for the Medium Crystolon and the Fine India for the Soft Arkansas. These stones are finer than the 2nd and 3rd stones in the IM313 and will result in a more highly honed edge. If you are confused about the different types of stones in the system, have a look at our article Difference in Sharpening Stone Materials for an explanation. Q. Are replacement stones and parts available for the Norton IM313-CIS? Q. Are other Arkansas stones available for the IM313-CIS? A. Yes. In addition to the Soft Arkansas stones, there are Hard Arkansas and Hard Black Arkansas stones available to fit the Norton IM313-CIS.